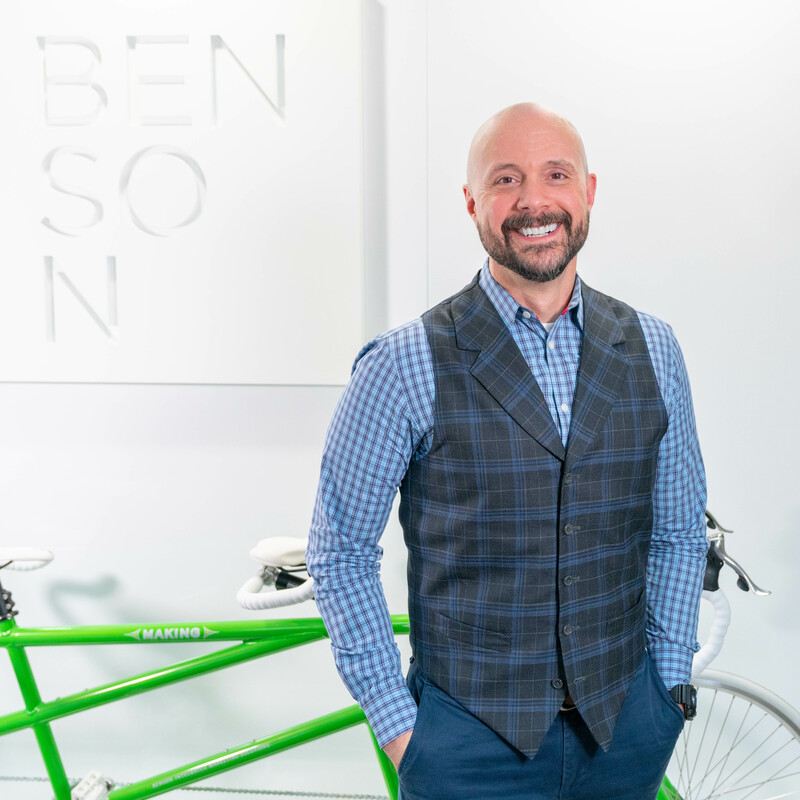 ATLANTA, GA (January 29, 2019)- Benson Integrated Marketing Solutions, the multifamily industry’s first and largest centralized marketing platform (CMP), announced today that Rodney Sharples has joined the company as its first Chief Experience Officer (CXO). Effective January, Rodney joined the executive leadership team with an emphasis on overall company initiatives, the client perspective, and business growth strategies, reporting to Benson CEO and Founder, Brian Benson. In this newly created role, Rodney’s main responsibility is to create client-centric strategies that drive an exceptional client experience with Benson. He will lead the teams that support the organization’s day-to-day delivery of client solutions, while offering clients and partners a more holistic way to work with Benson’s products and services. Rodney will oversee a team of over 125 associates, in varying departments including Client Services, Production, Design, and Permanent Signage. Rodney is an accomplished executive with over 30 years of diverse experience across multiple industries including retail, marketing and branding, big data, software, and technology. He has a proven track record of building and implementing enterprise strategies and evolving companies to be more measurable, scalable, profitable, and competitive. Most recently, he served as the Chief Operating Officer at Adrenaline Agency where he was responsible for operational health, abating corporate risk, and shifting the company to a unified, client-centric configuration, ultimately packaging the organization for a successful private equity funded liquidity event. Adrenaline’s award-winning portfolio of work includes branding, advertising, technology, environments, and culture. Prior to joining Adrenaline, he was the Vice President of Operations and Technology for another Atlanta-based firm, MaxMedia, where he provided the strategic plan, vision, and day-to-day leadership to the full organization and executive team. In addition, Rodney served as Vice President of Operations, Client Services, and Revenue Delivery for WebMD Health Corp., where his leadership in mobile and web product development, expense reduction, and other operational initiatives drove growth and delivered $165 million in annual revenue. He also has successfully implemented new cost-saving and revenue-generating business processes, nimble methodologies, and business expansions. Earlier in his career, he also served in key leadership roles at The Home Depot, Verint Systems, and RELX Group. A native of Rhode Island, Rodney has lived in metro-Atlanta for the last 21 years. He volunteers with several Atlanta area organizations, including serving on the technology Board for Big Brothers and Big Sisters of Metro Atlanta, and volunteering as a professional educator with Atlanta Habitat for Humanity. Rodney will also play a key role in Benson’s philanthropic program, “Do Good,” in addition to contributing to the company’s “B>Green” sustainability practices. Founded in 1992 and headquartered outside of Atlanta, GA, Benson Integrated Marketing Solutions is the most comprehensive, efficient and transparent Centralized Marketing Platform to procure, personalize, and track multifamily property marketing activities. Capabilities include award-winning products and services in design, printing, signage, apparel, promotional products and communication technology. Benson proudly serves over two million apartment units with over 12,000 registered users. As a dedicated partner and single supply chain for marketing products and communications, Benson increases profitability by saving time and resources with unprecedented accountability. Learn more at www.YourBenson.com.